Islamophobia and anti-Arab racism are pervasive in our streets, in our government, and as part of domestic and global policies and actions targeting Muslims, Arabs, refugees, and immigrants . We will continue to work with our partners in coming weeks and months and for the long-haul to do whatever we can to resist this onslaught. We know that in order to do our work as effectively as possible, our community/political education is essential. Therefore, we are so pleased to be able to share with you our workshop curricula and modules, Challenging Islamophobia and Racism. As many of you know, we have worked the past few years developing these materials and resources so that we could all be more effective, principled, creative, thoughtful partners in this work. The curriculum, handouts, and modules are works in progress. As you will see, we are still developing more resources. But we want to get this out to you to use in your community/political education at a moment when deep and reflective learning that helps shape and inform our organizing, both short-term and for the long haul, is more welcome and needed than ever. We very much look forward to hearing your thoughts about these materials, how you plan to use them, and anything else you would like to share about anti-Islamophobia community/political education in your communities. Our work is a result of deep relationships, organizing, and learning with so many communities and individuals. We honor and deeply appreciate the work and leadership of our Muslim partners and others targeted by Islamophobia and racism. We have also learned from and with those organizing within JVP chapters. We will continue to learn and grow and act together. This Facilitator Guide offers background and ways for using the Network Against Islamophobia (NAI) workshop curriculum and modules as well as practical support for creating an inclusive and welcoming learning environment. This workshop series is divided into two 2-hour sessions with several sections within each session. There are also suggested resource materials as follow-up to each of the sections. A 60-75 minute condensed version of the two session NAI Curriculum. For individuals and groups that want to plan an action or are currently organizing a campaign or action against Islamophobia. For groups working in partnership, or wanting to work within coalitions, with Muslim partners and with other groups challenging Islamophobia. This module looks at the ways that bystanders of injustices can intervene, support, and prioritize the person being targeted. This module looks at the ways that race, racism, and racialization are constructed in relation to U.S. Muslims from Middle Eastern and South Asian immigrant communities, Arab Americans, and Black American Muslims. This module looks at the ways that liberal Islamophobia is present in the U.S. today and how it affects people’s perceptions of Muslims and connects to cultural and structural racism and government policies. 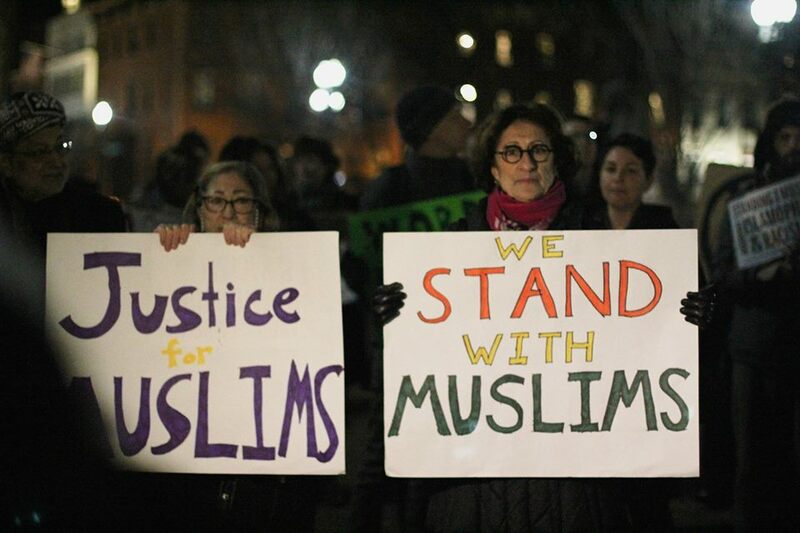 This module looks at the mainstream Jewish organizations that have a history of supporting Islamophobia and encourages participants to think deeply about who our Jewish allies and partners are. This module looks at mainstream Jewish organizations that have a history of funding anti-Muslim hate groups.